Honeymoon is one of the most beautiful time periods in life for a married couple. Planning for a honeymoon is quite exciting as there are a plethora of options to choose from. However, to find the perfect place that takes the love birds away from the maddening tourist crowd can be little tricky. Most cliche honeymoon destinations in India and nearby are overcrowded and lack the peace and solitude, newlyweds look for. If you are looking for an offbeat destination to wind off the stress post wedding and spend moments of privacy and intimacy with your better half, here are the best honeymoon destinations for you. These places listed by Kapil Goswamy, CMD, BigBreaks.com provide an ideal setting, along with an opportunity to spend some quality time with each other. 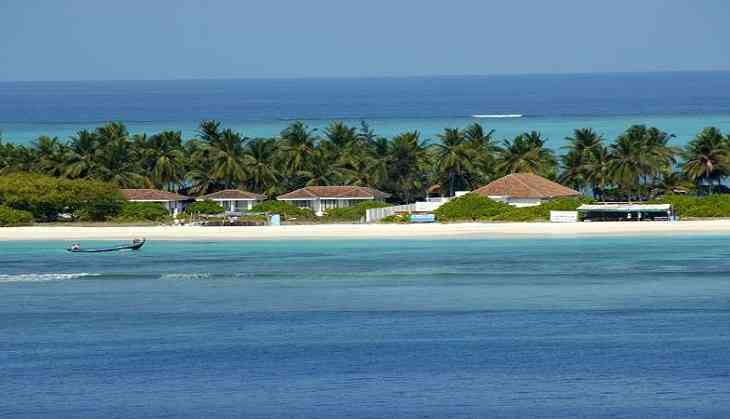 Exotic islands and coral archipelagoes of Lakshadweep are one of the most secluded beach destinations in India. Covered by a thick green carpet of coconut palms, threaded by an untainted line of silvery white sands, set in an ocean, whose colours change from palest aquamarine and turquoise to deepest sapphire and lapis lazuli, the islands of Lakshadweep are a perfect retreat for those newlyweds who wish to enjoy blissful beach surroundings with an idyllic sense of privacy. Moreover, if you two love water sports, you can enjoy various water sport activities like scuba-diving, fishing and snorkeling at this romantic getaway. If mainstream hill stations like Shimla or Manali do not interest you anymore, head-off to Khajjiar, a little Himalayan gem near Dalhousie. Surrounded by green meadows, forests and snow-clad mountains, Khajjiar is Himachal's best kept secret and is unspoiled and less crowded. Often touted as the mini Switzerland of India, due to its resemblance to the country, Khajjiar is a perfect offbeat honeymoon destination in India. Adventure sport activities like Zorbing, trekking and paragliding also take place here which add to the element of thrill to this pleasantly charming hill station. Tawang is a sparsely populated town in Arunachal Pradesh with mesmerizing views of valleys and mountains. Perched at a height of 10,000 ft above sea level, Tawang is an ideal honeymoon destination providing the much needed tranquility to newly married couples. The town is immersed in the colours of Tibetan culture, with various attractive monasteries and Buddhist structures scattered all around. It is a perfect bet for couples who wish to explore a distinct culture in the realm of nature. Capital of the wettest state of India- Meghalaya, Shillong is a picture perfect honeymoon destination in the Northeast region of India. Also, known as Scotland of the east, Shillong is home to cascading waterfalls, pretty lakes dense forests, mystical caves and fascinating ancient tree root bridges. The city has a very young vibe as it adorns a westernized culture and has many musical events running throughout the year, making it a lively place always bustling with activity. A perfect amalgamation of natural beauty and culture, Vietnam serves as an ideal honeymoon retreat nearby India. Its untouched landscape, exotic environment, lush green scenery, long coastlines and vibrant culture are sure to enamor every honeymoon couple. Revel in the ancient architecture of the country or relish the one of its kind floating villages. Experience the peace at Buddhist pagodas or relax at the many beach resorts and boutique hotels in the country. The scenic beauty of this country is boundless and inexpressible in plain words. If you and your partner fancy history and culture, then honeymooning at the Mediterranean land of Turkey is the best option for you. With one foot in Europe and one in Asia, Turkey represents a truly remarkable culture and a distinct race of people. Experiences like staying in cave resorts, traditional Turkish spas, sensual Turkish baths and romantic Fayton rides add to your honeymoon memoirs. Captivating architecture, lively bazaars and pristine beaches along with a vibrant nightlife, are some other key reason to invest in a honeymoon trip to Turkey. It's all you have dreamt of!